What do you want to be when you grow up? Everyone has heard this question a million times. The answer to this question was some standard answer which was accepted by society. But these answers were very limited and would probably not cover everyone’s interest. When you wanted to become something that was not that common you would have to answer a lot of other questions like: Are there enough jobs out there? Can you make a living out of it? This happened to me when I decided to change my career path and become a designer. It can be hard to convince other people and to explain them why, if they doubt your choice. It took me quite some time to realise that I don’t have to argue about what I want to become or what I want to do. It is only relevant that I know WHY. There is always fear when we experience something different. Our brain processes pattern much faster, which makes changed circumstances more difficult to handle. This is probably the spot where we allow doubt to kick in. Nowadays, we are fortunate enough to choose and to be creative about our career path. It is more usual to change jobs and career paths. Your future job might not even exist yet. How about using the start-up approach to create your future job? The key is to create your own job opportunities and be comfortable with an unconventional career journey. Think about your part and your piece of the puzzle in a professional environment. It might fit in right away or you might need you make some space for it and let the other puzzle pieces around you adapt to it. This is basically the start-up approach and exactly what I’m going to do. Something that you think is necessary for this world but does not exist yet. So you are going to build and offer it. It works the same with your future job. I will come up with an idea, prototype a job description, talk to people, receive feedback and adapt it until it works out. I focus on my passion and interests and will find the perfect niche in the market. As a designer even looking for jobs beyond the creative industry can be a possibility to have an impact. This means being open for the little opportunities in life and start creating opportunities yourself. The combination of all our jobs and our understanding creates a unique skill set. By the way, we are the only ones who have exactly this kind of skill set. It is unique! Define your own version of success, design your own story and go for an unconventional career path. Our course leader Janja Song explained that our CV doesn’t have to be a straight line there is always room for a change of direction. I cannot agree more with that. 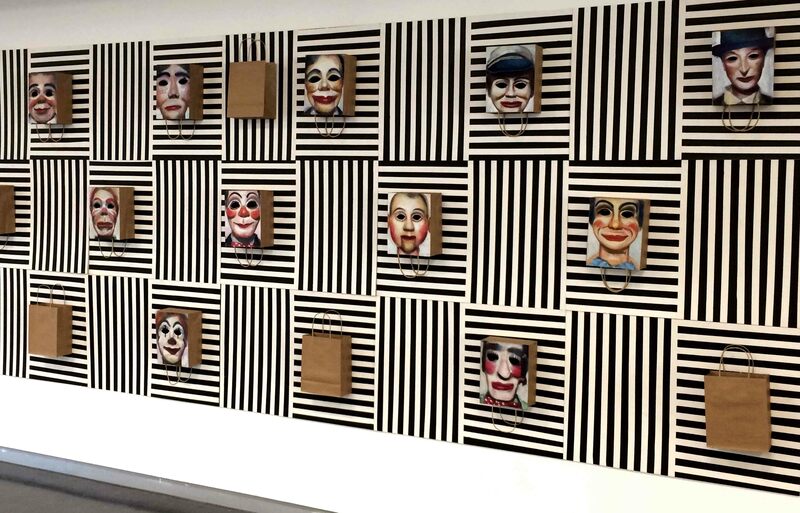 The header image shows the work “You are no the leading actor” from Xu Yiyuan exhibited at Kingston University, Knights Park Campus.